7CPC: 7th Central Pay Commission for Central Government Employees: Kendriya Vidyalaya Sangathan (Allotment of Residence), Rules 1998 - matter pertaining to unauthorized overstayal in KVS Staff Quarters. 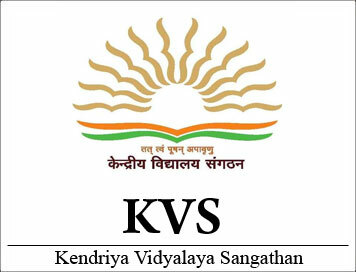 Kendriya Vidyalaya Sangathan (Allotment of Residence), Rules 1998 - matter pertaining to unauthorized overstayal in KVS Staff Quarters. Subject: Kendriya Vidyalaya Sangathan (Allotment of Residence), Rules 1998 - matter pertaining to unauthorized overstayal in KVS Staff Quarters. a) The authority concerned at various establishments of KVS, will inform the competent authority in Finance Division, at least 03 months in advance, about retention of staff quarter by any employee working under his/her control and superannuating/ retiring from KVS. b) The authority competent to approve pension, will order to retain an amount equal to 10% of the gratuity subject to the maximum of Rs. 50,000/- (Fifty thousand) from the employee concerned. The amount will be withheld in the form of Security/Caution Deposit. The amount so deducted will be refunded to the retiree within 30 days from date of vacating the quarter after recovery .of all dues of KVS. In case the employee vacates the quarter within the permissible period, in that situation, the employee will be refunded the amount due to him by adding the interest gained by KVS from his/ her gratuity amount. c) This may be circulated among all Kendriya Vidyalayas, with proper acknowledgement, functioning rider your administrative jurisdiction.